More Wine Dinners are coming up in 2018! E-mail Melissa Bowe, our wonderful General Manager, to get on our mailing list. Conveniently located just over the Huguenot bridge at the River Road Shopping Center II Osaka Sushi and Steak offers impeccably fresh sushi, sashimi, and hand rolls as well as quality steak, lamb, and seafood entrees prepared with pan-Asian flair. In addition, we also offer a full take-out menu, for those of you who are on the go! Whether you are looking for an intimate dinner for two, a fun celebration with friends or family, or just need to grab something tasty on the go, we at Osaka Sushi and Steak look forward to serving you! Need some help with off premises catering? We'd love to help!!! Come check out our Happy Hour with food and drink specials daily from 5-7!!! Cabernet Blend 2013 Darcie Kent "Firepit"
Osaka is excited to host a Rosé Dinner with Meghan Vandette of The Robins Cellars. The evening will start with a bubbly palate cleanser before moving onto the first of five courses, each perfectly paired with five unique wines. With an abundant rosé selection, we will take a tour around the world, touching down in different countries including but not limited to Chile, France, and India! Please email Sdhadder@eatrp.com for more information and follow our social media pages to stay up to date on further details! Osaka Sushi Catering makes every event a celebration. From weddings to business parties to cocktail gatherings, we offer customized catering packages to fit your taste, budget, and group size. You can even hire our sushi chefs to set up a sushi station in your home, office or any location*. 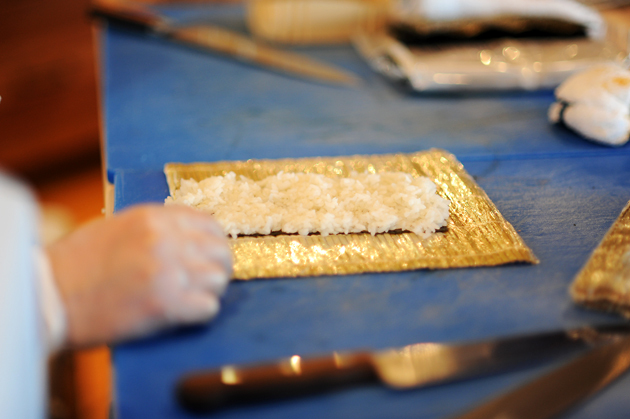 We can customize your menu from basic to “omakase” (chef’s choice creations). *We do require at least 72 hours’ notice for personal sushi chefs. Catering Platters are ideal for an event where a sushi bar set up is not needed, such as meetings, conferences, lunch drop offs, or just friends getting together.